Nassau County, NY - January 28th, 2014 - The Nassau County SPCA joins the Humane Society of the United States in opposing provisions in the NYSDEC's draft Management Plan for Mute Swans in New York State which call for the in discriminate and unjustified lethal removal of these majestic animals. The agency states "DEC will authorize any property owner, land or water management authority, municipality or other responsible party to control or remove mute swans from their property for any reason." Part of the drafted regulation calls for lethal control, including euthanizing or shooting mute swans. The DEC states that mute swans, which have been in New York since the 1800s, are an invasive species that is negatively impacting the state's natural ecosystem. However, with a current population estimate of only around two thousand, it is scientifically doubtful that mute swans are causing meaningful environmental damage. It is more likely that human activities are harming the environment. According to the plan, "mute swans can cause a variety of problems, including exhibiting aggressive behavior towards people, destruction of aquatic vegetation, displacement of native wildlife species, degradation of water quality and potential hazards to aviation." This is a totally exaggerated account of the behavior of mute swans and their interaction with the environment and evidence of such transgressions is anecdotal or speculative, at best. Free-ranging swans are now a naturalized part of our environment. 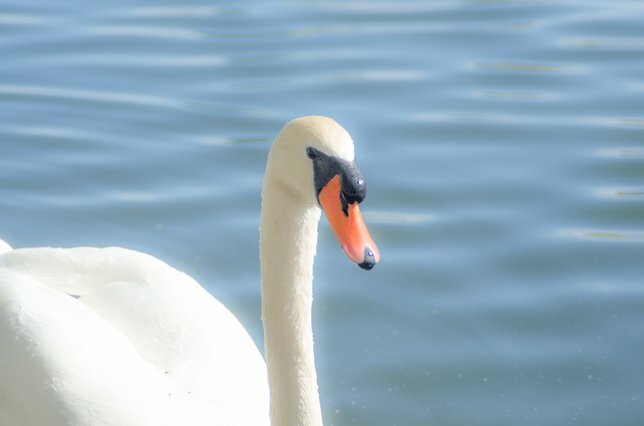 New York's wildlife belongs to all citizens of the Empire State, and we strongly urge the DEC to focus on non-lethal, humane techniques to control any problems allegedly caused by our small mute swan population. The DEC is now accepting public comments to their proposal through February 21, 2014. The Nassau County SPCA and HSUS joins groups such as Save Mute Swans in opposing lethal management measures for New York's Mute Swan population. Polite, thoughtful comments opposing the draft plan may be sent the DEC through February 21, 2014. These comments can be submitted in writing to NYSDEC Bureau of Wildlife, Swan Management Plan by sending e-mails to fwwildlf@gw.dec.state.ny.us (type "Swan Plan" in the subject line). Subject: LongIsland.com - Your Name sent you Article details of "Nassau County SPCA Announces Opposition to DEC's Management Plan for Mute Swans"